We are also been categorised as a GREEN school by the Welsh Assembly. Please see photograph attached to see what being a GREEN school means! Estyn's annual report praises Ysgol Emmanuel - 31st January 2012 Governing body effectively holds school to account: Governors at Ysgol Emmanuel monitor the school’s curriculum and management policies. 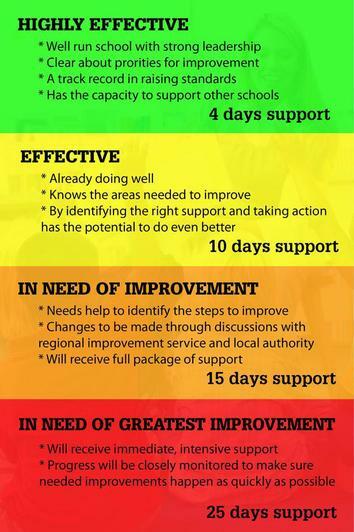 They monitor progress, and understand how the school is doing in comparison to similar schools. The impact: standards in all key skills have improved. More pupils are identified as more able and talented, and fewer pupils are added to the additional learning needs register as they progress through the school.